Come and discover a local London author at this year's Souwesto Book Expo! We will have over 40 local authors and small presses participating! 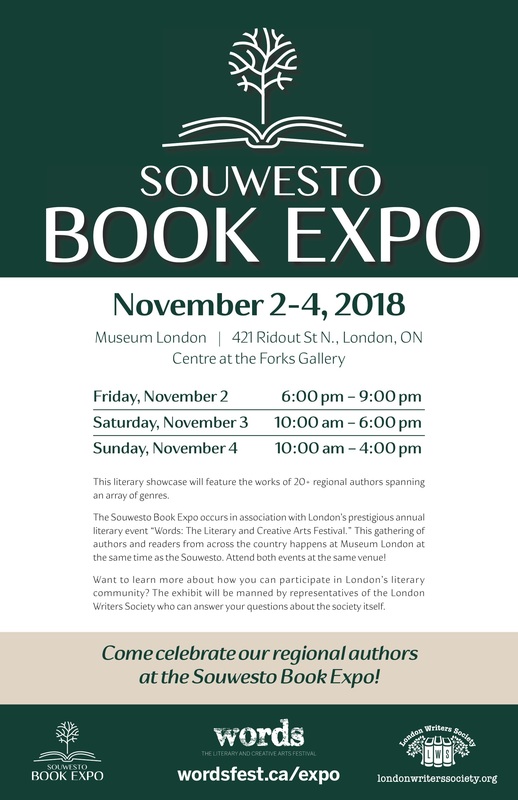 The Souwesto Book Expo is pleased to invite everyone in our community to come see over 40 local authors and small presses at our three-day book fair, Nov. 2nd, 3rd and 4th, Museum London. The Book Fair will be located in Museum London's new, gorgeous Centre at the Forks. So come to Museum London and browse the writerly creativity of local authors in your community! We will also have workshops for readers and writers, with more information to come! If you would like to display and sell your books, you can do so here: Register HERE!